The incredibly lightweight, two-strut design provides superior low-end performance due to its fuller center section, creating a drifting effect while maintaining smooth power delivery throughout turning. It also has a slightly flatter arc compared to other kites, which gives it more punch when sheeting-in and provides easy jumping along with that nice “sheet-in and go” feel. 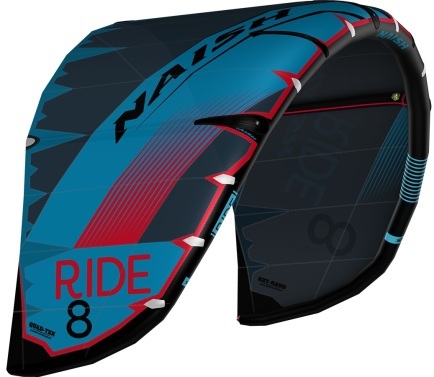 The Ride has a new wing tip shape with increased leading edge curvature, which reduces the surface area allowing the kite to rotate with less drag on the water, resulting in an even easier water relaunch. 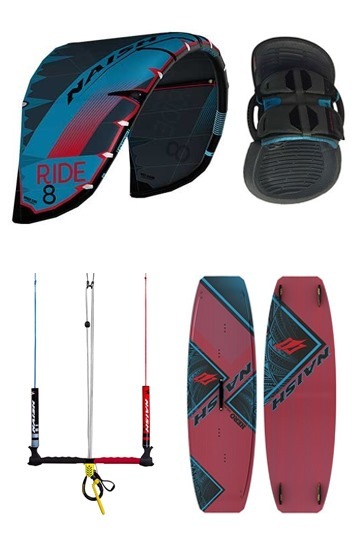 In addition, the Ride also features faster inflation and smaller packing for easy transport due to its fewer amount of struts, so it can travel anywhere and be the first kite to get out on the water. 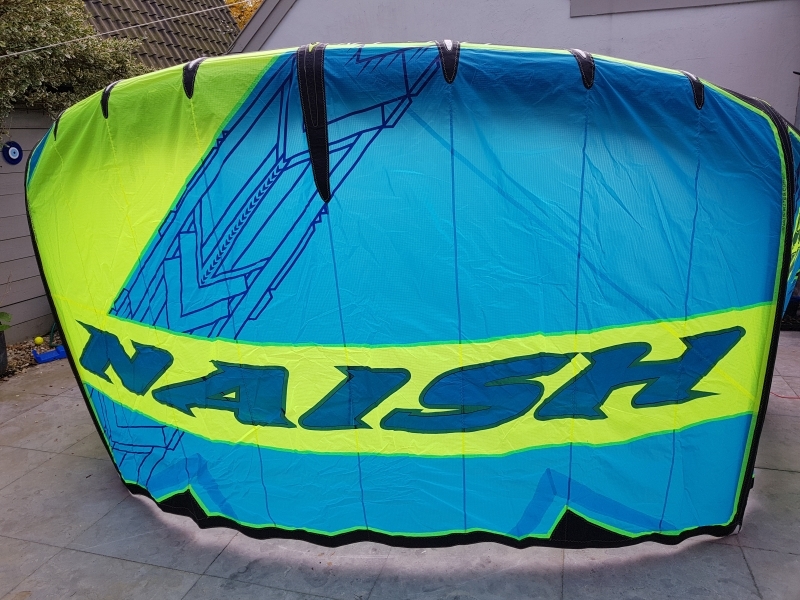 The Naish Ride was one of the most stable kites in its low-end. Had a sheet and go power characteristic. Pretty strong in the power zone. In the lower position the Ride had the intention to back stall on the edge of the wind window. Still a very user friendly kite for kids. 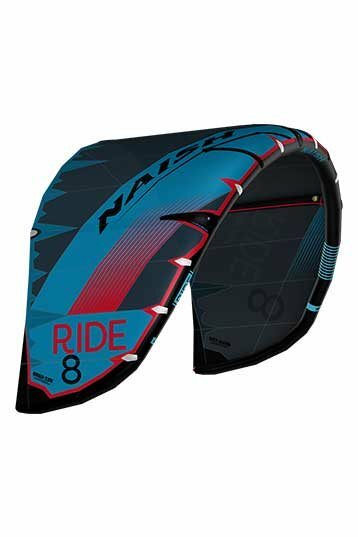 Used the Naish Ride 6m with a clinic with kids (8-12 years). Loved the stability of the new Ride in its low-end. For kids a good kite to learn & play. The Ride has good kite characteristics for children like; light steering, good kite feedback at the edge of the wind-window (a bit back-stall in the lower positions), short de-power stroke, easy to relaunch in 3/4 Bft wind. To adjust the long de-power stroke you need a hex-key, further the Naish Ride is ready to go for kids.